hat’s On The Show Today? Join Garden Historian Stuart Read talk about some gardens of note in the garden history segment, find out which veggie is a hiding place for little demons in Vegetable Heroes; spice up your home with these fragrant flowers you can grow in Plant of the Week. ;Lastly, a flower that’s strongly linked with perfume in Talking Flowers. There are a lot of heritage items in Australia that get commemorated by a plaque but how many gardens get the same recognition? Probably only a handful and these are not even well known. So the Garden History Society started to take note of some historic gardens and with a local council in Sydney, are recognizing that it’s not just built spaces that make up the fabric of history. Let’s find out about some of these. These 'garden plaques' celebrate famous gardeners and notable gardens. 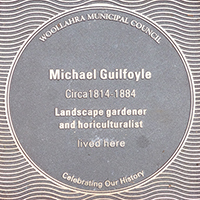 Does your local council have a garden plaques program? If so let us know so we can give them a shout out. The Australian Garden History Society has branches in all states and the A.C.T. which arrange local activities and act as advocates for issues which are of interest to the society. 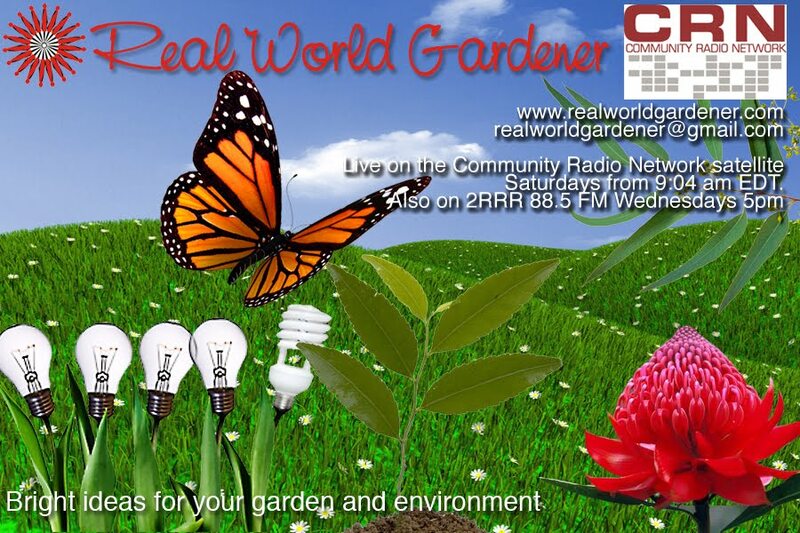 If you have any questions either for me or for Stuart, you can email us Realworldgardener@gmail.com or write in to 2rrr, PO Box 644 Gladesville NSW 1675. 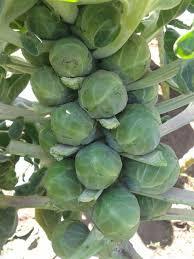 Brussel Sprouts are a member of the Brassicaceae family which also includes, cabbage, broccoli, kale and kohlrabi. Is there one veggie that you have trouble growing? For some reason, that veggie doesn’t work out to how it looks on the seed packet. Maybe it’s your environment, think weather or your soil or your regime of fertilising. It could also be that whenever you try to grow this veggie, hordes of pests descend onto your veggie plot and turn those plants into a horrible version of what they should be? That’s my lot with Brussel sprouts. Before we go any further, you may not be surprised to know that Brussel sprouts are one of the most hated veggies in the UK and US. So why call a veggie Brussel sprouts? Maybe because it was sold in Brussels' markets in the 1200's, or, maybe Brussels sprouts were named after the capital of Belgium where some say that’s where they were first grown. Brussel sprouts are also one of the few vegetables to have started off in the northern Europe. You probably know what a Brussels sprouts looks like - miniature heads of cabbage-about 2.5 to 4 cm. to be precise. They taste a bit like cabbage, but slightly milder in flavour and denser in texture. If you’ve ever grown Brussel sprouts, you’ll know that the sprouts grow like buds in a spiral along the side of long thick stalks of around 60 to 120 cm tall. They all don’t mature at once but take several weeks, starting from the lower to the upper part of the stalk. If you want to grow them well, there’s a few tips that you need to know about. Firstly, when learning how to grow brussel sprouts they need a firm, fertile soil because the main cause of failure (blown buttons) is the opposite, that is, loose, infertile soil. Those gardeners with a fairly heavy soil have an advantage over those of us with loose sandy soil. If your soil is loose, then your sprouts will be tasteless, loose and open, and only you’re to blame and not the seed company. If you’ve got the room to follow crop rotation, then you’ll be planting them where you last planted peas and beans. If not, dig in a whole lot of compost and cow manure and leave it for a couple of weeks to mature. AND, because compost, especially home- made compost can be on the acidic side, add some lime to your soil while you’re in the veggie bed. That old saying “feed the soil not the plant” applies especially to Brussel Sprouts. Tamp the soil down with the back of your garden rake to make it firm when the soil is dry. For temperate districts, February until May, for arid areas until the end of June, for cool temperate zones, until the end of April and for sub-tropical areas, April seems to the month for you. To grow sprouts, sow the seeds into seed trays or direct into the garden, or you can buy seedlings from a garden centre, organic markets and so on. It’s cheaper of course to start from seed. The seedlings are ready to transplant when they’re 10cm high. 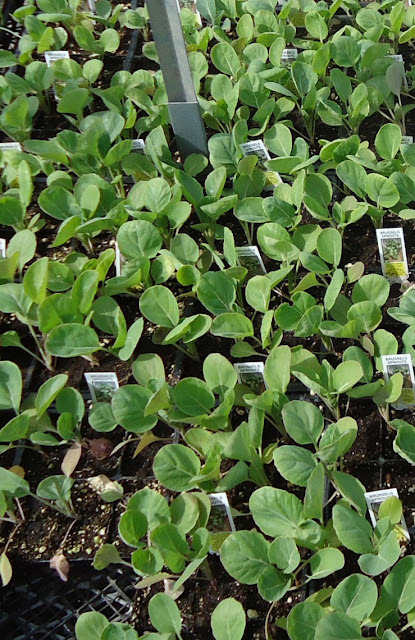 Did you know that you can get early and late cropping varieties? You can plant out your brussels sprouts either in full sun or partial shade, in fact partial shade is a bit better in warmer districts. Water plants the day before you aim to transplant them into that well-firmed bed that you prepared. After you have transplanted your seedlings, firm the soil around each plant with your hands or the dibber. 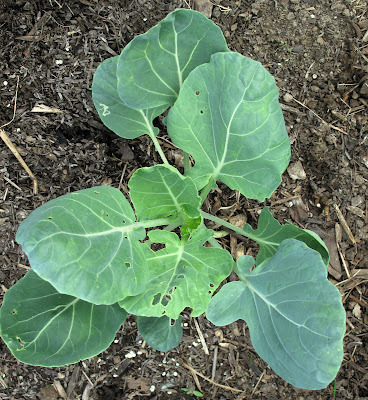 Remember - firm planting helps to grow firm, tight brussels sprouts. Tip#3: a better reason to start your seeds off in punnets is that when you transplant your seedlings from pots or seed beds, this encourages a stronger root system to be established in their permanent bed. Water the young plants in dry weather but unless you have a prolonged dry spell the mature plants shouldn’t need watering. As the plants get taller make sure you support them so that the strong winds in winter don`t blow them over - tie them to stakes. Should hordes of pests come a calling, you name it, Mealybugs, aphids, caterpillars and other grubs, use Derris Dust or a liquid concentrate containing Spinosad or Neem oil. When the brussels start looking like they’re ready you don’t have to pick them all at once because, the plant holds the mature buttons for many weeks without opening. To eat Brussel Sprouts, you don`t want those ` sprouts that have had all their colour and crispness boiled out of them. Try dicing or grating your brussel sprouts raw and serve them up in a salad - go on, be brave! Brussels sprouts can also provide you with some special cholesterol-lowering benefits if you use a steaming method when cooking them. Brussels are also a good source of vitamins A and C, iron, and potassium . One 80-gram serving of these healthy veggies delivers four times more vitamin C than an orange. And finally, Brussel Sprouts should be kept cool at all times and eaten before the leaves discolour or they develop a strong smell. If you ever ate Brussels sprouts at home, there's a good chance you cut little crosses cut into the bottom of each one. Most people assume it is done to speed up cooking, but they would be wrong. The real reason we cut crosses into our sprouts is because of a medieval superstition. Did your dad or grandad, grow certain flowers in your garden which you think are too hard to grow? Well the plant world and it’s bevy of hybridisers have been working garden to make this old fashioned flower new again. They probably grew the "old school"carnations which grew long and lanky and needed some type of staking to prevent them flopping over. Let’s find out how to grow the newer varieties. Carnations love alkaline soil , therefore adding lime to the garden bed will help with any acidic soil problems. 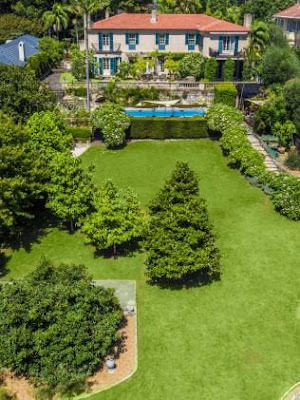 Tip: Not to be grown where Azaleas and Camellias like to grow. 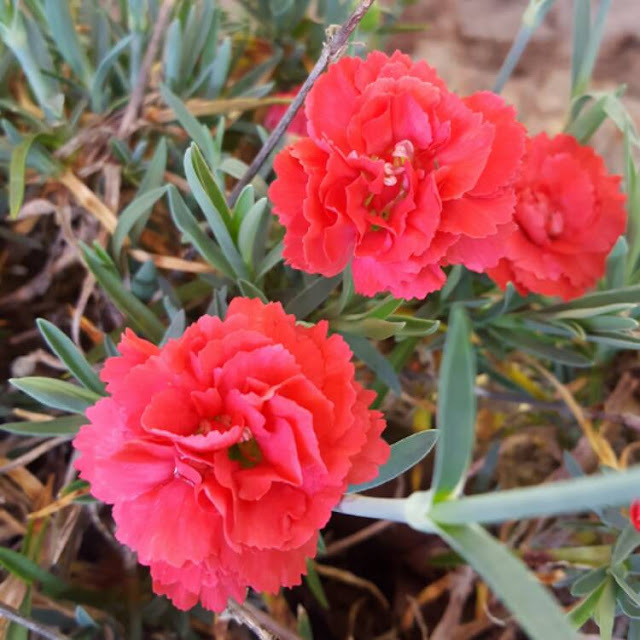 Keeping your Carnations tip pruned will encourage more flowering. Carnation Oscar is a dwarf growing to 10cm in only 5 colours but designed for the balcony gardener. Super Trooper and Sunfloor-also a dwarf around 20-25cm in height, with a high amount of fragrance. In fact it’s hard to choose between what makes carnations special;the fragrance or the flower. Need to relax? Or get a good night's sleep? You need cleansing, calming lavender in your life. Lavenders are a fabulous, long-lasting cut flower and you can dry them to use in sachets and pot pourri. And by the way, lavender is a great insect repellent. Lavender is a favourite, whose flowers range from white to deep blue purple and include pink. 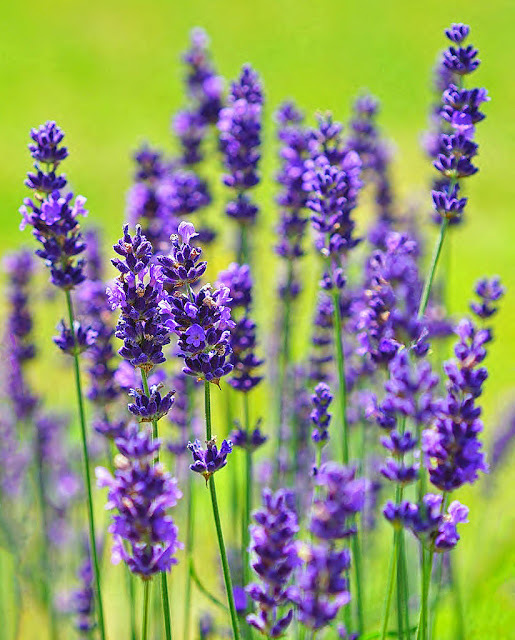 You can cook with Lavender flowers but you must use Lavandula angustifolia or English lavender flowers. The other varieties have too much camphor and will make food taste a little bitter. Use your Lavender spice flowers in cakes, biscuits, pasta and salads.